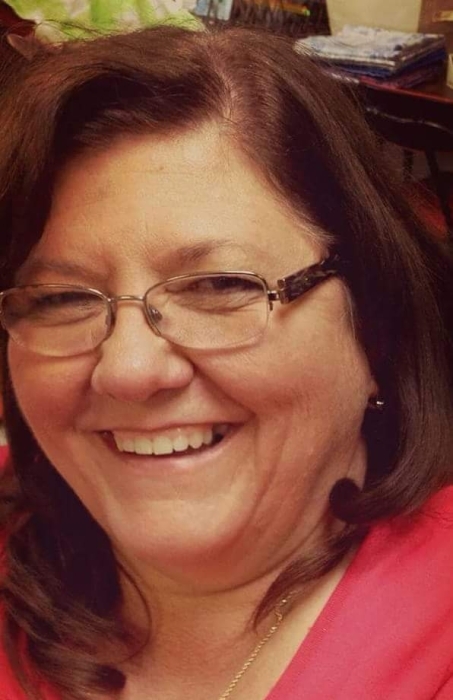 Peggy Nadine Zornes, 58, of Winchester, KY., passed away Monday, September 10, 2018 at St. Joseph Hospital in Lexington, KY. She was born in Portsmouth, OH., March 1, 1960 a daughter of the late Henry Eldridge JR and Phyllis Carpenter Eldridge. She attended the Fellowship Christian Assembly and was a Beautician. Peggy is preceded in death along with her parents, one sister Cheryl Buckler. Left behind to cherish her memory is her husband Richard N. Zornes Jr whom she married September 1, 1978, one son Jacob Abraham Zornes of Winchester, KY., and two daughters Jessica Dawn “David” Bennett of Winchester, KY and Sarah Elizabeth “Daniel” Lager of Mt. Sterling, KY., three brothers Charles Eldridge of Cincinnati, OH., Kenneth Eldridge of Garrison, KY., Henry Eldridge III of Louisville, KY, two grandchildren Evelyn Lager and Darcy Lager along with many other family and friends who will sadly miss her. Funeral Services will be 1 P.M. Thursday, September 13, 2018 at the Roberson Funeral Home in South Shore, KY., with Rev Raymond Lewis officiating. Burial will follow at Sunset Cemetery in Quincy, KY. Friends may call at the Roberson Funeral Home Wednesday, September 12, 2018 from 6 P.M. until 8 P.M. and from 11 A.M. until the funeral hour on Thursday.